December 12th 2016 – Braveheart Investments acquire substantial holding of Gyrometric Shares. December 9th 2016 – Version 7.3 of the MDS Software issued with enhanced automatic diagnostics for checking sensor functions. August 2015 – Quick installation system for testing shafts in situ introduced. January 2015 – Mechanical addition to Gyromech machine tool spindle tester for protecting the instrument from damage when assembling to the machine tool. Gyrometric MDS2 ships drive monitoring system has passed the very stringent IACS/American Bureau of shipping testing. 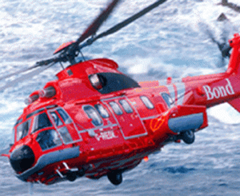 On the 1st April this Super Puma Helicopter suffered a catastrophic failure of the main epicyclic gearbox while flying at 2,000 ft. All sixteen persons on board died. Gyrometric Systems Ltd is looking into ways of helping with this problem, and provide warnings of bearing failure.